Porto loves food, from traditional local dishes like the francesinha to cutting-edge cuisine. 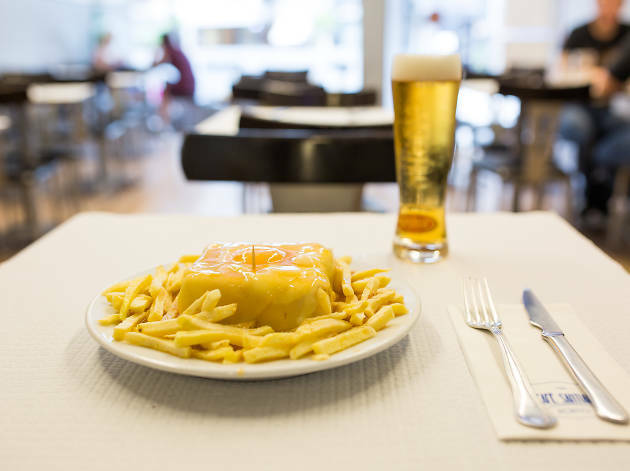 That’s a decidedly good thing for visitors, but it can make things tough too: of all the city’s many restaurants, where can you find the best francesinha? 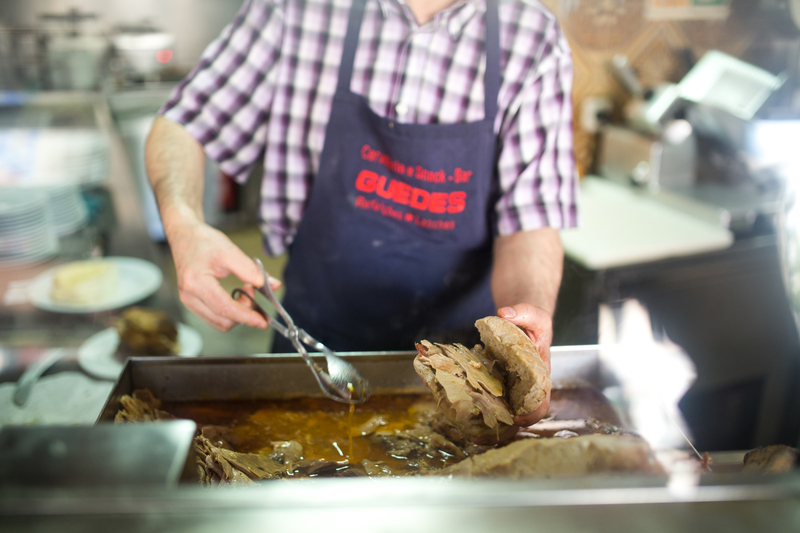 And what are the other dishes in town you absolutely have to try? We’ve narrowed it down to a mouthwatering top ten: a culinary hit list that’ll make you glad you packed those big trousers. Bom proveito! 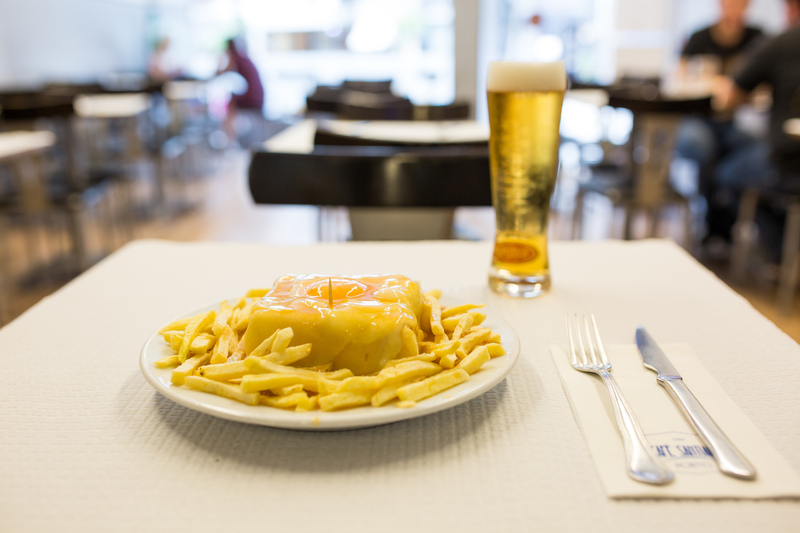 Everyone’s got their own favourite version of Porto’s famous multi-layered sandwich, but Santiago’s is the one that unites francesinha lovers everywhere. The restaurant gets its sausage and linguiça from the Salsicharia Leandro at the nearby Bolhão, and the chips are always fried to order. This is one thick wodge of meaty, carby heaven. This is not your average sausage-in-a-bun. 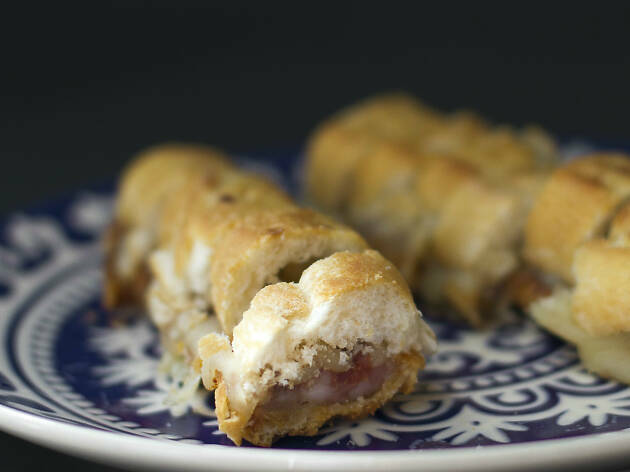 Imagine a thin toasted loaf stuffed with mouthwatering sausage and melted cheese, then sprinkled with butter and spicy sauce and sliced into pop-it-in-your-mouth pieces. 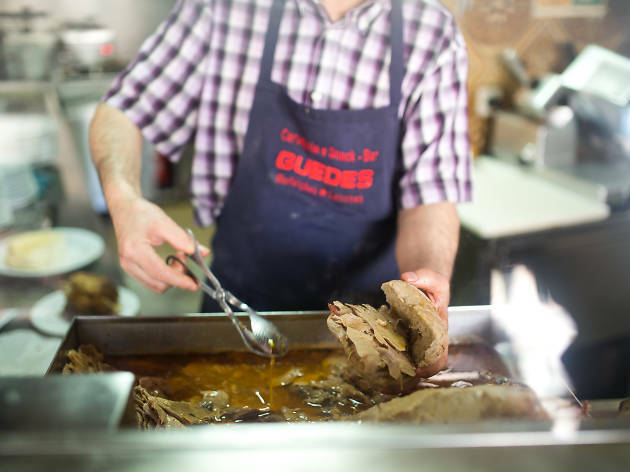 The counter of Cervejaria Gazela in the Batalha neighbourhood is where you’ll find the hottest dogs in town. After a night on the town, there’s only one place you should head. No, not bed – we’re talking about Pajú. And don’t even bother browsing the menu: just order the ovos verdes (green eggs) with lashings of parsley and bacon. Even Dr Seuss would approve. Onions: not that exciting, you’d think. And you’d be right – unless you’re at Cervejaria Brasão, where they open the onion like a flower, separate it into sections, fry it in batter and serve it with black garlic mayonnaise. It’s the most inventive onion in the city, and the tastiest. There are few better ways to start a meal in Portugal than with codfish potato fritters. 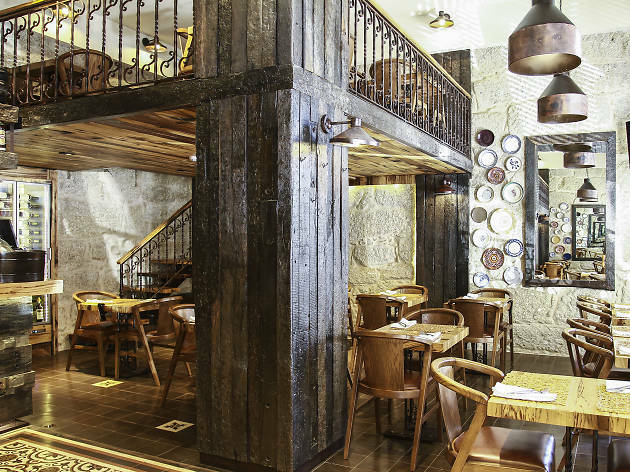 For the best around, head to Cozinha da Amélia: a restaurant where traditional Portuguese food reaches great heights. It’s outside the city centre, but their crispy, plump fritters are more than worth the trip. You may not believe us, but there are some people in this world who don’t like chocolate cake. But even they might find it hard to resist the one at Apetites. While the outside is crisp and firm, the centre is decadently liquidy: almost a mousse. And if that’s not enough chocolate for you, there’s another version made with 70 percent cocoa. Every pastelaria worth its sugar has a take on the éclair. 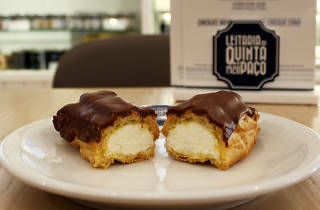 What makes Leitaria da Quinta do Paço’s stand out from all the rest is the filling: sweet whipped cream rather than your regular gloopy custard. And the lightness of the pastry and perfect milk chocolate icing don’t do it any harm either. 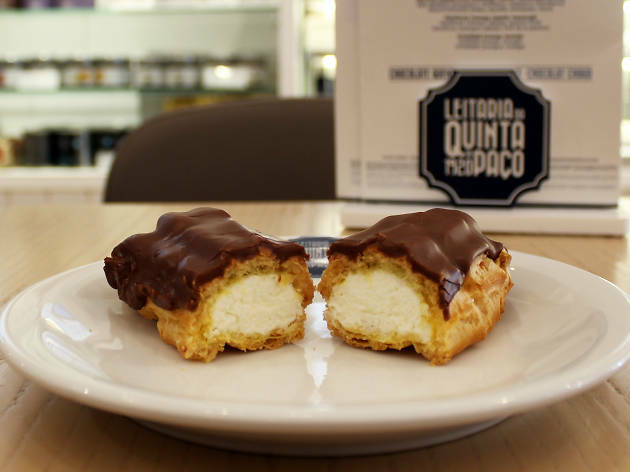 Out in Matosinhos you’ll find Confeitaria Maurícia, where the croissants have been made for decades by the same baker. They’re as perfect as you’d expect: big, moist inside and with a crispy crust that makes them rather addictive (trust us on this one). Traditionally served at Christmas, aletria is a northern Portuguese speciality that’s a little like a rice pudding, but made with vermicelli pasta. Casa Inês (out near Campanhã railway station) has finessed a super-creamy version laden with eggs, butter, milk and sugar. Make the pilgrimage and try it for yourself. The permanent queues out of the door make it clear that something good is happening inside Casa Guedes. Stand in line for long enough and you’ll discover what that something is: a delicious pork-leg sandwich with mountain cheese. The pork is swimming in sauce, the cheese is creamy and the bread is lightly toasted. It’s all your sandwich dreams come true.